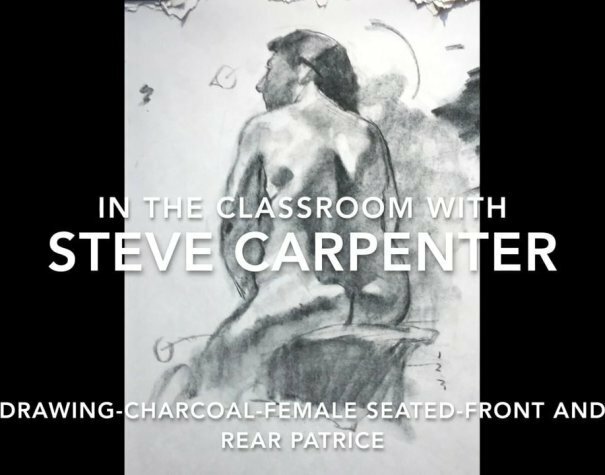 In this charcoal drawing video lesson Steve addresses the figure drawing challenges of creating volume through the use of line and value. Concepts emphasized include drawing through the form, foreshortening, designing shadow pattern, working highlights, change of pace with line, all working to enhance form and create volume in a charcoal drawing. Steve suggests ways to capture attitude in the subject and discusses the important task of determining what you want to say as an artist. The artist's job is to find the beauty the subject gives you and not to simply copy.